Clematis Montana Mayleen is a beautiful light pink flowered clematis variety which is a vigorous climber. Its bronze-tinged foliage is a delight to behold covering your trellis or wall. The flowers consist of four rounded overlapping petals which are paler at the edge which open in late Spring and early Summer. 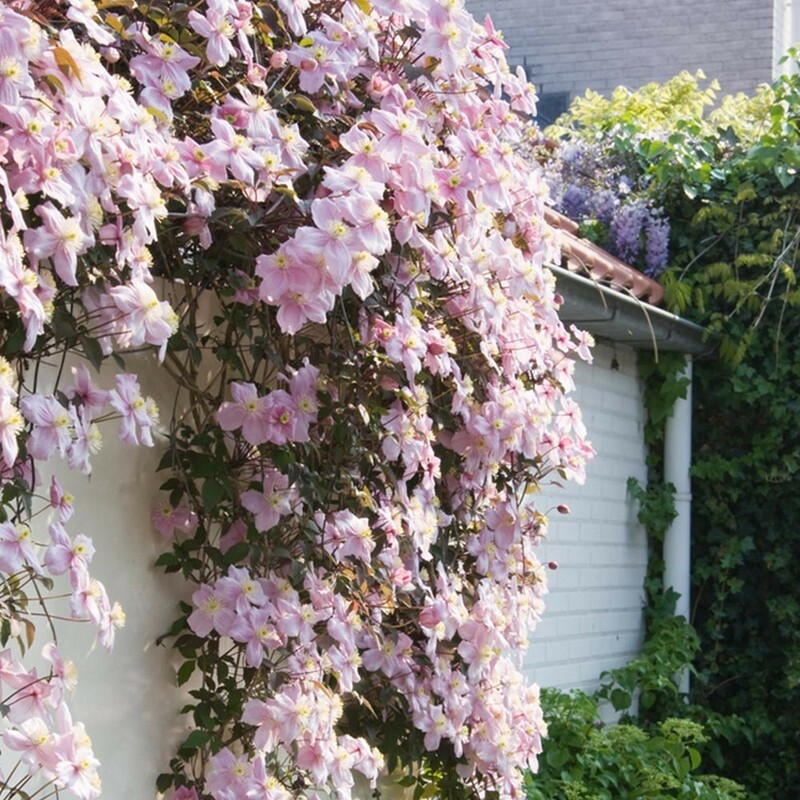 This Clematis has a very fast growth rate, it is a vigorous, dense climber and produces a mass of huge, single, striking light pink flowers against a backdrop of stunning bronze foliage. Each bloom is up to 7cm across with a central spray of lemon yellow stamens from late spring to early summer. Sometimes there is an occasional second flowering season later in the year. 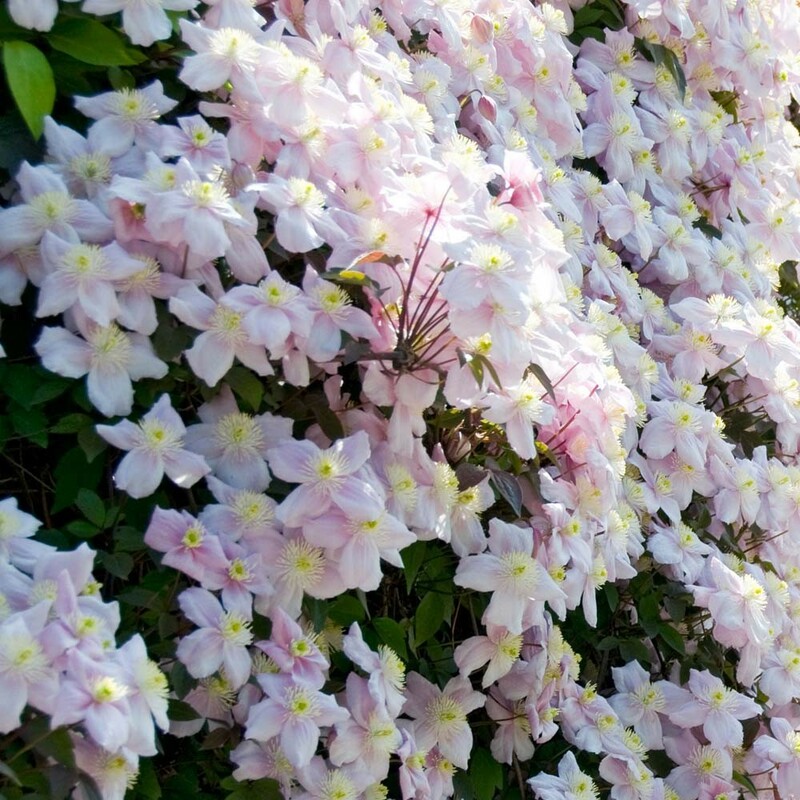 Clematis Mayleen is the perfect choice to use to cover up an unsightly wall or fence. Clematis Montana Mayleen is happiest when grown in part shade in a moist well drained soil and is ideal to plant in a location where its vanilla scent can be appreciated. Supplied in approx 2-3 litre containers, full of buds and blooms in season.